Online Application Details for Unique Identification Authority of India UIDAI Recruitment of 4 Assistant PB-II is given below. Candidate's minimum education qualification for the Vacancies in Unique Identification Authority of India UIDAI should be Graduate/ Post Graduate. with Excellent drafting, typing skills, Proficiency in computers. Selection for the post of Assistant PB-II for job openings in Unique Identification Authority of India UIDAI is based on Personal Interview. 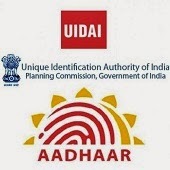 Application form and duly attested documents are to be sent to ADG(Estt), Unique Identification Authority of India (UIDAI), Planning Commission, 2nd Floor, Tower 1, Jeevan Bharti Building, Cannaught Place, New Delhi-1 . In envelope super scribed with 'Application for the Post of Post Name'.